I use HM5 pads from Brainwavz to clean up the bass. It's tight and impactful. Also, as a bonus side effect, it adds a bit of distance between the driver and my ears making the sound stage even more enjoyable. Wow that is awesome, is it any particular one or just their generic pads. I takeit you cut the original up to use the base plate? Well i just made some custom inserts which is a good middle ground. got the velour pads but the punchy sound.. **** me man it really transforms the sound, bring the vocals forward more and the bass has a better punch. makes them really great headphones!! Think i might just pick up some HM5 pads at some point but this simple work around works. Nope, I just removed the stocks and saved those, stretched the HM5 pads around the driver housing itself, and cut a hole for the 3.5mm jack. See pics below. I too am immensely impressed - I thought mine were slightly imbalanced - right was slightly louder - but the when I wore the headphones the other way round the left seemed louder so probably my ears ! Might be placebo after reading the forums threads about it - certainly nowhere near the magnitude of 3dB or anything though - if it is we're talking 0.25-0.5dB max. I am waiting for my pair. Should be here on friday. Só if it says woox on the box it is bad and if it says Gibson it is good? It seems that these newer batches have no more problems.... At least when it comes to the build....Do you guys think that the newer batches may already come with newer pads like on the x2hr? Do you guys think the HR version may show any improovement to the sound? 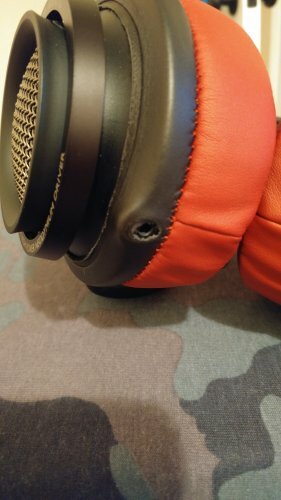 People with problems on the x2 may get their pairs replaced for hr pairs under warranty? Woox was the original manufacturer and all was fine and dandy and highly highly praised, then Gibson took over and things turned ****ty and has been a ****storm since. As far as I have gathered all build issues have been fixed and there may or may not be driver mismatch going on. Actually got a Woox and a selected (took the best out of 3) Gibson pair here, haven't gotten around to A/B them. Got my Fidélio x2s yesterday.... Havê to say i AM pretty impressed with the bass response for a open headphone. It is not the tightest bass but it is very punchy and it hás a lot of rumble. Philips really did succeed in trying to replicate the bass of a closed back on a open back. My take on this is simple.... If you like edm, metal and modern music styles, if you wanna havê fun and if you are a fan of the signature of something like a m50x, hd25, (maybe momentum), aurvana live and beyers custom one pro.... This is the closest you can get to those sigs on a open back. They are warm, maybe a tad too warm but still not muffled as some claimed....but i can see some finding them muffled or too colored if you come from a hd600, beyers or akgs. I'm just seeing this fascinating post now, 1+ wk after the fact. As a longtime owner of the X2's (wonderful headphones--my first "serious" pair), I'm very interested in this. Brainwavz now have a round version of the HM5 (same depth, just not oval); the dimensions would be perfect for this application. I just took my pads off (easily--no glue), but find 4 plastic prongs that stand ~3/16" proud of the flat surface of earcup. These are designed to insert into 4 matching holes in the inside surface of the velour stock pads. Does your pair of X2's have these same 4 prongs on each earcup? If so, I'm wondering how you got the HM5s to "seat" over these prongs, which protrude from the surface of the earcup. It appears to me that these prongs would make any non-stock pads stick out farther than intended. Those posts are indeed there, but the HM5 pads are so fluffy that the posts press into the back of the pad a little and you can't feel them at all. And because of that, they don't hold the pad out further than intended, as you can see in the pic below. Right you are. 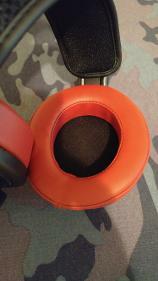 And yes, the Brainwavz pads are >3/8" deeper than the stock pads. Also slightly wider in the earhole dimension. These dimensional variations vs stock pads may help explain any sonic differences you hear vs stock. Do the HM5s make the X2s bright/brighter? I take it they tighten up the bass somewhat, but wondered about upper midrange/treble. For the record, I'm very fond of the sound of the X2's stock. Sure, I can hear that the bass lacks the ultimate low frequency range & impact of, for example, my ZMF Ori (which has pretty amazing bass). But the actual sound of the X2's bass, like the entire rest of the frequency range, is pleasing to me. It's not a headphone for extreme "accuracy" or razor-sharp transients. 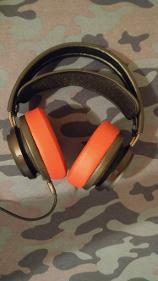 It IS a headphone for relaxed, tuneful, spacious listening. It ticks just about all my boxes. And for what it's worth, I've found the Liquid Carbon to be an amazingly good matchup w/the X2's--which I could hardly expect, since it's somewhat warm in its own right (as are the X2's). But together, the 2 components really synergize and sound terrific. I like the stock sound as well, musical and fun. I think one of the best bang for your buck buys around. However I wasn't a fan of the pads. The HM5 pads do change the sound up. They tighten the bass up, give you a little more sub bass, and due to moving your ear a bit further away from the driver, give you a slight improvement in sound stage and an airiness to the highs. I wouldn't say it makes them bright though. Could you please give us yout take on the hd600 vs hd650, fidelio vs hd650 and fidelio vs hd650? But still there are a few things that i stand by.... after a few hours with the hd600 i can once again say that if you are looking for a upgrade on a m50x (but smoother and more linear on the mids and highs of course) or if you want something close to the momentum 2.0 or even hd25 sound on a open back over ear format, the fidelio x2 may be your best bet. They are fun all around but still they are pretty smooth and make most of the genres sound good without rapping your ears. 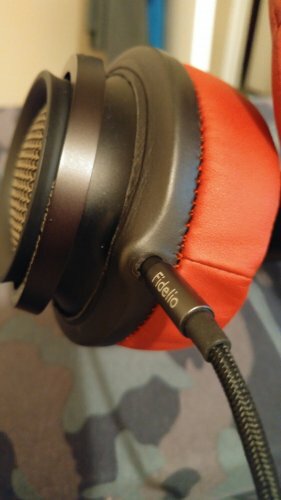 About the comparisons with other headphones.... now that i compared both it is not totally stupid to compare both the hd600 and fidelio x2 because are similar in the way they are linear through the specturm but still overall, to my ears they make different approaches on a neutral basis. Anyway.... the hd600, compared to the fidelio x2 is not that different in a way that still presents the sound in a linear way and still with a tiny bit of warmness (it is not bright sounding at all) but their sound is tuned differently form the x2s. while the x2 sounds more pumped on the bass and has a slighty more laidback or smooth sound the hd600 digs a little deeper on the highs and mids wich maked them feel more detailed and textured. Despite the bass response being a bit lacking on the hd600's i can still have the same or even more fun listening to stuff like royal blood, rage against the machine or artic monkeys on the sennheisers because the electric guitars sound super textured, full..... the hd600's simply seems to have more resolution and more detail wich still makes them sound fun and full despite not having a huge bass. Both headphone have indeed similarities because they are both pretty linear... they just have highlights on different areas of the spectrum. Oh by the way, x2s sound more spacious but with the hd600's it is easier to tell where each instrument is placed. For detail and resolution junkies the hd600's are the best bet. Also i think they are most fullfiling for rock and metal unless bass is yout top priority because electric guitars and cymbals just sound much more textured and with more resolution. The x2's are maybe more geared towards people who want good all rounders but that listen mostly to beat centric genres like house, trance, overall edm, hip hop, r'n'b.... also they are easier so they are the easy choice for people that do not want to spend money with amplification. I actually agree 100%. I just recently borrowed my brother-in-law's HD650 and HD600 and had them for 4 days. I found the X2 to be a better all around set than either of the HD's. How would you rank the 3? The hd650 hás much bass than the 600? Are the mids And highs on the 600s better? I just received a HD650. So if anyone wants any comparison between the X2 and HD650, just tell me. Initial impression are that the HD650 has significantly better separation and transparency but X2 has better soundstage and bass. With the HD650, i enjoy how everything is presented in layers and with black background. With the X2, it's all about soundstage with a bit more bass. They are two very different headphones although they share very similiar signature. In car terms, it's like a RWD and AWD of the same car. They both excel at different things. Ive probably mentioned it before that the x2 has more kick and punch. More dynamic sounding because if it. Great for movies. Not that it's overly hard to drive but when driven with a somehat powerful amp the hd650 is not as bassy or warm as you might expect. Its actually fairly neutral. Quite easy listening with a very good level of true detail. Probably a truer/more neutral sound than the x2. 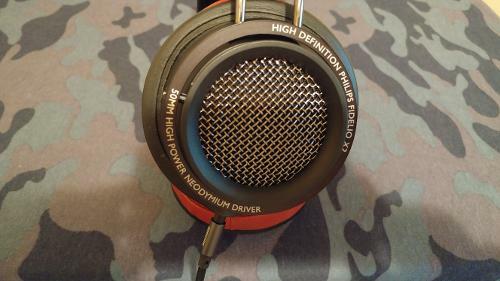 You may see some reviews around the place that describe the hd650 as neutral and think why. I certainly did til i demoed it with quite a few different amps including my pha3. 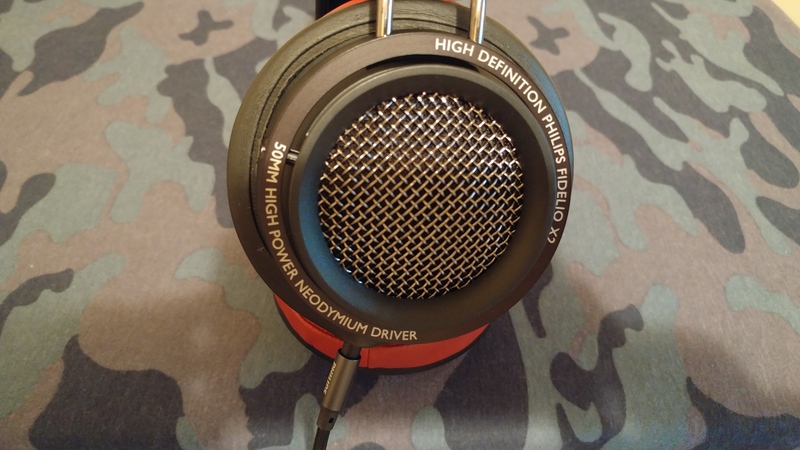 As i said before i AM a hd25 fan and also a momentum over ear fan and i have been trying to find a open over ear pair that matches those presentations without breaking the bank. Luckily i had the chance to get a mint hd600 for 125 euros and i got the x2s brand new from amazon for 139. I like the hd600 and i may feel that they havê more resolution and detail in the highs and mids but unfortunately i feel that they are somewhat lacking in the bass for electronic music (although not thin sounding at all) and also there is somethig on the hd600 that messes up my hearing. I get ringing buzzing on my ears after a couple of minutes with them. I always thought of getting the hd650 to see if it suíts me better but here is the question.... Having the hd600 and Fidélio x2 would i really get anything new from a hd650? What would i win/loose? I want more bass on the hd600 and a bit more musicality or warmth but despiste the ringing on my ears i kind of wanted to maintain a similar mids and highs presentation because their resolution is awesome and make electric guitars sound raw and powerfull (like a hd25 that lacks bass extension but still hás nice impact and cymbals). Another thing that makes me question my need to buy the hd650 is the x2s current pricing... I got my x2s for 139 on prime day but they can still be bought on amazon for 159 while the hd650 costs 320 euros and a AMP is still needed... Is the hd650 really worth double of the price of the x2? For what it's worth, I've enjoyed my X2s for the past 2 years. In the next week or so, I'll have the opportunity to hear a modded pair of HD650s as well as a stock HD600. That should be very interesting; I'm looking forward to it (somehow I've managed to not hear any Sennheiser headphones).